Join us for a bicycling experience like none other! An exceptional experience with everlasting memories. 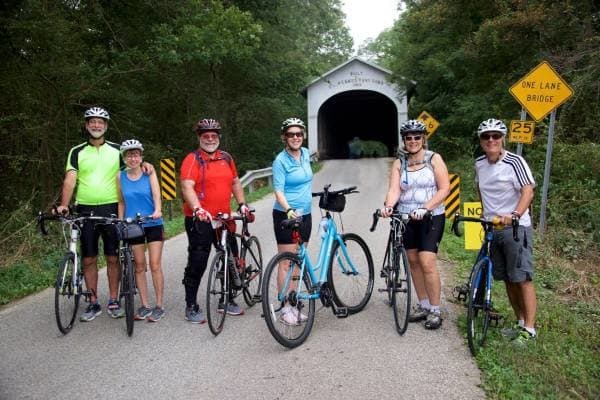 The Five in 50 Covered Bridge Ride takes riders on a trip experiencing the rural Indiana countryside through five historic covered bridges. Riders of all skill levels are encouraged to participate. We suggest that you select a ride distance that matches your skill/fitness level. Families are welcome! Registration and ride start is located at the Boys and Girls Club of Rush County. Riders lead the Willkie Days parade before journeying down scenic county roads and through Rush County's beautiful, historic covered bridges and five small towns. The ride concludes at the Boys and Girls Club, where after-ride showers are available. All proceeds from the event support the Rush County community via the Rush County Community Foundation. Donations (including $25 of your registration fee) ﻿are tax-deductible and will be acknowledged electronically upon receipt. Additionally, all donations will be generously matched $2 for $1 by Lilly Endowment Inc. GIFT VII! Boys & Girls Club of Rush County, Inc.
"Fantastic event and a total bargain. The course was pretty, well marked, and not too tough. The parade start was super fun!" "I brought 7 friends and sure more would like to come next year. We enjoyed everything. The people running the ride and all the SAG stops were incredibly kind." "I've ridden hundreds of organized rides, and I will definitely be back. I enjoyed your ride, and all the volunteers were very friendly. Was a very enjoyable ride." "It was a nice ride in a very welcoming city that I had never been to!" "This was an extraordinary event for the first time. Congratulations to you all for doing such a fine job! I loved starting the parade....Thanks for a great route and super organization!!!!" Your support of the Five in 50 Covered Bridge Ride directly impacts the Rush County community. 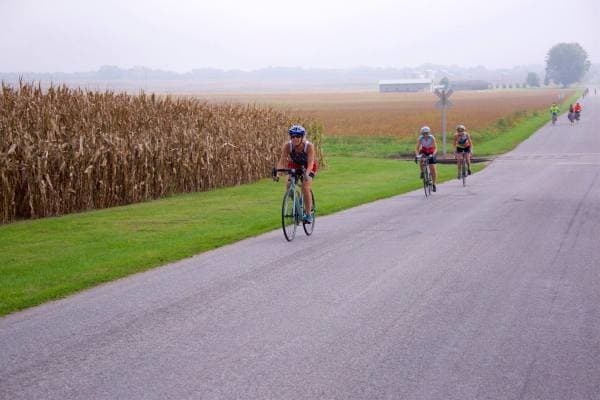 The Five in 50 Covered Bridge Ride is a fundraiser for the Rush County Community Foundation. All proceeds from the ride are permanently endowed at RCCF, forever supporting the community by providing impactful grants to the most important community causes and needs. Help us preserve our bridges, improve our community, and support our people by riding, donating, forming a team, and sharing the opportunity! The bridges featured in our event are historic covered bridges, dating back to the 1870s. Less than 2000 covered bridges remain in the world today, and Rush County is proud to be home to five functioning bridges. Three generations of the Kennedy family built 23 bridges in Rush County between the 1870s and early 1900s. The "Five in 50" ride provides you the unique opportunity to cycle through each of the bridges that remain operational in our community today.